CellarPro offers a complete line of wine cellar cooling systems for wine cellars up to 2000 cubic feet. 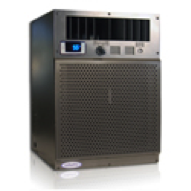 All CellarPro refrigeration units are UL certified. 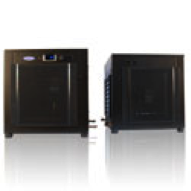 CellarPro 1800 Series cooling units are designed for wine cabinets, small wine cellars and other specialty applications. Units include: interior and exterior, 110v and 220v, and optional accessories such as duct kits and commercial grade filters. CellarPro 3200 Series designed for custom wine cellars from 400 to 800 cubic feet and rated for internal applications, it features variable-speed fans with a "high" setting for maximum performance in high-temperature (+115°F) environments and a "low" setting for super-quiet operation. Additional features include a thermostatic heating element and 1/2" I.D. drain line, electronic temperature and adjustable humidity control. CellarPro 4200 Series designed for wine cellars from 500 to 1500 cubic feet and rated for internal applications, it features variable-speed fans with a "high" setting for maximum performance in high-temperature (+115°F) environments and a "low" setting for super-quiet operation. 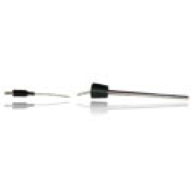 Additional features include a thermostatic heating element and 1/2" I.D. drain line, electronic temperature and adjustable humidity control. CellarPro Split Systems designed for wine cellars up to 2000 cubic feet and rated for internal or external applications, it allows the noise from the condensing unit to be removed from living areas and eliminates the need for large holes in your cellar wall. This is achieved by separating the evaporator unit from the condensing unit. 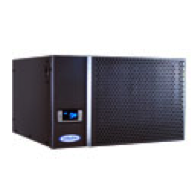 In its standard configuration, CellarPro's high-performance condensing unit will handle environments ranging from 40°F to 110°F. 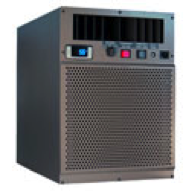 The condensing unit requires 12 inches of unobstructed space in front of the coils, and requires approx. 600-700 CFM of ventilation when installed in a confined space. CellarPro Air Handler Ducted Systems designed for wine cellars up to 2500 cubic feet, CellarPro's Air Handler Ducted refrigeration system provides ducted refrigeration specifically designed for wine cellars, and allows the noise from the evaporator and condensing units to be removed from living areas (interior and exterior). They can be ducted up to a total of 100 equivalent feet (supply + return), and the evaporator and condensing units can be separated up to 100 feet. With our split configuration, the evaporator and condensing units can be located in separate locations and connected via a refrigerant line-set (sold separately) and power line (optional). Specialty Cooling Systems can be used for a variety of specialty applications that require cool temperatures with minimal fluctuations, high humidity and ample airflow. With variable speed fans for super-quiet operation, our high-performance refrigeration systems are designed to handle the most extreme environments. Modifications & Accessories are suggested modifications and accessories to enhance, improve and customize your CellarPro wine cooling unit. 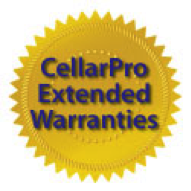 Extended Warranties provide additional warranty coverage for CellarPro Cooling Systems.